It seems as though everything in the world of fashion is embroidered – and embroiderers are creating just about any design.The craft itself dates back to 30,000 B.C. and historically points to origins in the Orient and Middle East, where we see the art form behind each design. Who would have thought this intricate handicraft would debut it’s return to the 21st century? We sure didn’t. From branded designs, to floral overtake, to illustrations that fit the ‘adult only’ box – we’ve seen how just about anything can be embroidered these days. First US embroidery manufacturer established. Jacob Schiess started the first commercial embroidery manufacturer in New York. Chinese thread embroidery appear on clothes. Pictures of Chinese clothing reveal embroidered patterns of silk thread, precious stones and pearls. Archaeologists discover what appeared to be embroidered pieces of clothing. Learning new crafts brings appreciation for those who dedicated years to perfecting their skills. Take a stroll through an art and textile museum in your city to learn more about the significance of cultural embroidered patterns. Visit a market or local shop and pick up an something embroidered for yourself or for a friend. Embroidering anything takes time, patience, and attention to detail. Chances are, if you own something embroidered by hand, you take care of it. Embroidered pants, jackets, purses, shoes, phone cases, etc. You get it - everything under the sun has an embroidered option - and what a better way to hype up the return of this handy trend (pun intended). 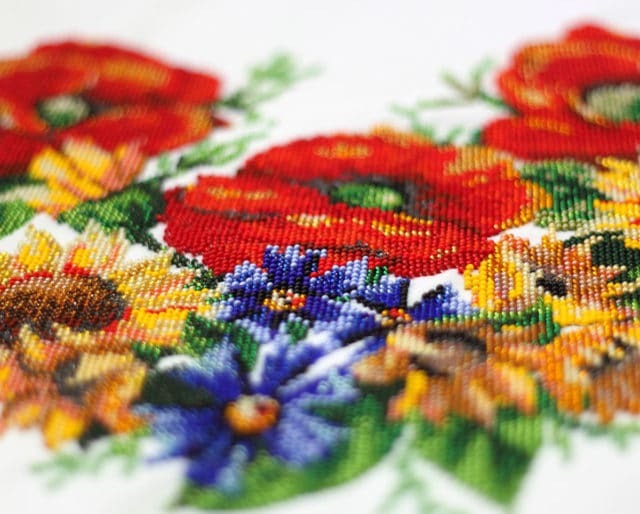 Despite popular belief that our world is most distracted than ever before, thanks to our excess of screens, turns out there are still people out there with enough focus and attention to detail to keep the name of embroidery alive.